Eschewing the notion that identity is always the best measure of what can be known about gender and sexuality, Colin R. Johnson argues instead for a queer historicist approach. In so doing, he uncovers a startlingly unruly rural past in which small-town eccentrics, "mannish" farm women, and cross-dressing Civilian Conservation Corps enrollees were often just queer folks so far as their neighbors were concerned. Written with wit and verve, Just Queer Folks upsets a whole host of contemporary commonplaces, including the notion that queer history is always urban history. 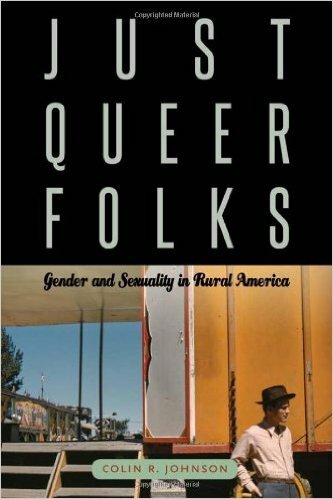 Johnson, Colin R. Just queer folks : gender and sexuality in rural America. Philadelphia: Temple University Press, 2013. Print.